Jerry Reinsdorf: Through The High's & Low's, Where Do His Loyalties Lie? Jerry Reinsdorf: Through The High’s & Low’s, Where Do His Loyalties Lie? Recently Forbes came out with their annual list ranking each NBA team values, and to no surprise, the Chicago Bulls was #4 on said list. What really stood out in this report, is that the Bulls ranked top in attendance for the NINTH straight year, a true testament to the fans. My knee jerk reaction to this was to write up a piece on how we are the most loyal fans in the nation, and how Chicago fans stick with our organizations through thick and thin. As much as I wanted to blow our fanbase harder than Lisa Ann when she came out of retirement, I went down a rabbit hole and ultimately came up with the question; where does Jerry Reinsdorf’s loyalty lie with? Does he deserve us, the fans, to stay loyal to him and the organization year after year? Let’s briefly take a look at the career of Jerry and see how we got to this point today. Jerry Reinsdorf was brought to earth on February 25th, 1936 in Brooklyn, New York. After graduating from Northwestern Law School in 1960, Jerry became a lawyer for the IRS (first red flag). Reinsdorf made a chunk of his wealth co-founding Balcor Co., one of the country’s first firms to specialize in real-estate partnerships. He ended up selling Belcor to American Express and made a modest $53 million in 1982. The year prior, in 1981, he fulfilled his life long dream as a sports fan and purchased the Chicago White Sox in 1981, and quickly made an impact on the organization. 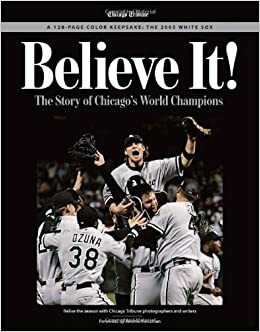 By 1983 the White Sox were divisional champs, and through the money accrued he was able to purchase another professional organization in 1985 — our very own Chicago Bulls. Sounds like Jerry is off to a hot start with Chicago fans right? “Despite his teams’ successes, Reinsdorf was often vilified by fans for his laser-like focus on the economic bottom line. In 1988, threatening to relocate the White Sox to St. Petersburg, Fla…. They had Florida White Sox T-shirts made already! Everything was in motion for the move and to leave the southside with a “Welp, See Yah Later!” However, through the outcry of fans all over the city and savvy down to the wire moves made by our wonderful Illinois politicians, the vote did not go through. 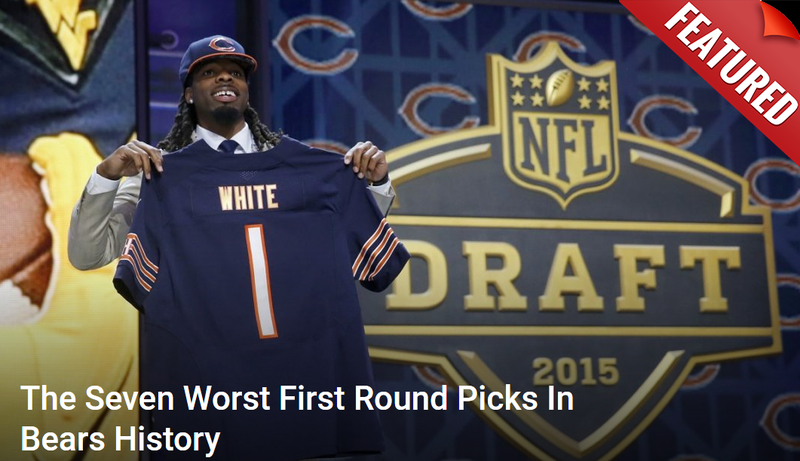 Many believed at first it was just a move in an attempt to get a new stadium in Chicago built and publicly funded. But as time drew nearer down to the last minutes of the deadline, it became apparent that Reinsdorf had no problem leaving the southside behind in his Private Jet window. Luckily for Jerry, the hate became overshadowed by this one guy taking the NBA by storm, and starting arguably one of the greatest dynasties in all of sports. Michael and the Bulls took the league by storm and rattled off 6 championships throughout the ’90s. When you have a player like Michael Jordan, the organization inevitably becomes more valuable. At this point in time, there are few people in the world that did not know who Michael Jordan was, and it put the Bulls at global heights. Times are good, Chicago is happy, Jerry is happy, no way he can find a way to screw this up right? Listen, I know all good things must come to an end, and this era was naturally approaching to it. But you can’t help but think that they had a legitimate shot for one or two more titles if they kept everything in place. So now, once again, Chicago fans are left hanging, and Jerry was left counting all the money he made from the past decade of dominance. Now, everyone in Chicago hates Jerry again, and it would take something spectacular for us to get past this one right? The White Sox go and win their first World Series title in 88 years. Led by manager Ozzie Guillen, who played for the Sox during his playing career, gave the team and added spark every night and coined their style of play “Ozzie Ball”. I wanted to go through this history briefly because there is an obvious pattern. Since Jerry took over both franchises, there have been some unparalleled heights that Chicago fans will endear forever. But Reinsdorf’s loyalty and focus seem to still be with the bottom line, not Chicago. He was ready to ship us off to Florida in ’88, he had no remorse in cutting a legendary dynasty a couple of years short, and now today, it is us fans that are being played. It is us, unfortunately, that are loyal to a fault. Okay, since you asked, and its taken me 900 words to ultimately get to explaining my original point. As a Bulls fan, you hear just about every day how we should fire Gar/Pax because it has become apparent that we are the laughing stock of the league. This is true in many respects, but that isn’t going to happen when the Bulls are #4 in valued franchises and have had the #1 attendance nine years running. If there is anything you have learned from this article, it is that as long as the money is coming in, and the fans continue to stick with our team through thick and thin, Jerry isn’t changing. As long as our attendance stays high, why would he feel the need to make big money moves for the organization? He has John Paxson, whose last positive move for the organization was hitting a game-winner in the 1991 Finals. John knows how to keep the boat afloat, dodging hard-hitting questions, playing it off to the public like they aren’t a dumpster fire of an organization. As long as they keep dangling the carrot juuuuust enough to keep fans coming to games, they feel no need or pressure. Is Jerry loyal to a fault with Paxson? I thought yes at first, but now I feel like they are just planning for the next great streak of luck to fall in their lap, such as landing the top pick in the draft. And as long as the money is there, there is always a place to sit on Jerry’s lap for good ole Johnny Boy! We the fans deserve better, we deserve more. I am tired of tuning into a Bulls-Hawks game on a Tuesday night and thinking I accidentally turned on a high school JV game. I am tired of players like Anthony Davis not even putting us on his list of CONSIDERED franchises he would sign with. Jerry has had his fair share of highs and lows throughout the past four decades, but the one constant denominator is his loyalty to the bottom line, not Chicago, not the fans. With that being said, let’s keep our last shred of hope for the near future in the hands of our #TankForZion campaign. Cue the damn music.